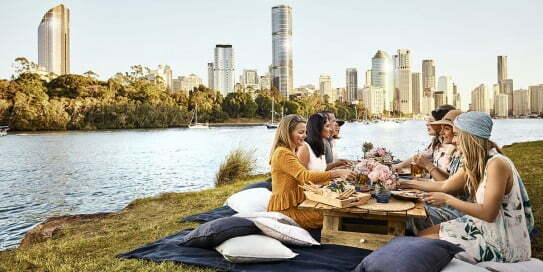 Brisbane is a sunny metropolis that turns on a great holiday at any time of the year. It's also one of those places where local knowledge goes a long way to ensuring a fantastic experience. From street food markets and neighbourhood shopping to free comedy shows and live blues music, there's a lot going on in this city. 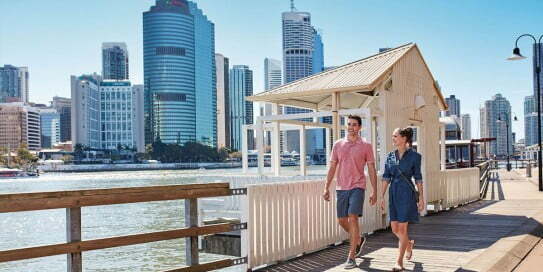 Our tips will lead you to some of the best things to do in Brisbane from a local's point of view. When you're planning a trip to Brisbane, remember that Air New Zealand flies non-stop to Brisbane from Auckland, Wellington, Christchurch and seasonally from Queenstown. Brisbane holidays are all about sunshine, the winding river and the outdoors. 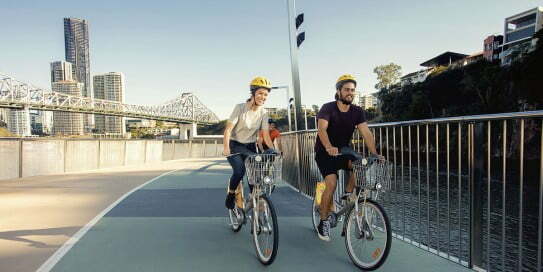 Put on your walking shoes and conquer the Brisbane Riverwalk; a suspended pathway sitting above the water along the Brisbane River, linking the trendy precinct of New Farm to Brisbane's newest entertainment and lifestyle destination - Howard Smith Wharves. 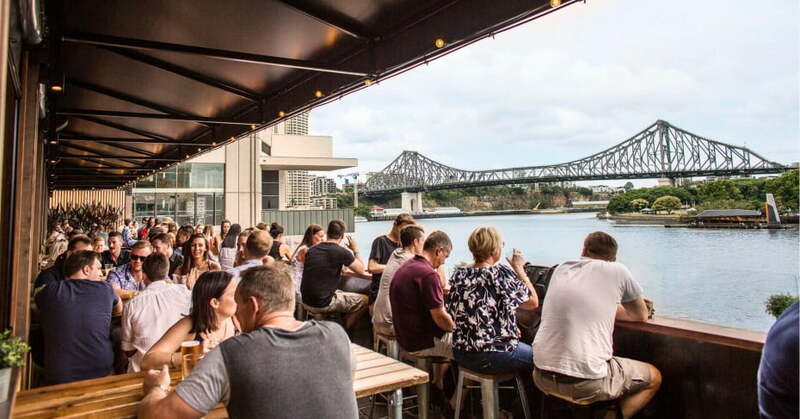 Or keep exploring along the river stopping off at local favourite Riverbar & Kitchen, before finishing at the vibrant dining hot-spot of South Bank. You can also pack a picnic and relax in one of the many riverside parks. Moreton Island is the 3rd largest sand island in the world and perfect for an overnight or day adventure from Brisbane via a quick ferry ride. In a day you can toboggan down huge dunes at up to 70km/h, then climb back up (repeat until exhausted). 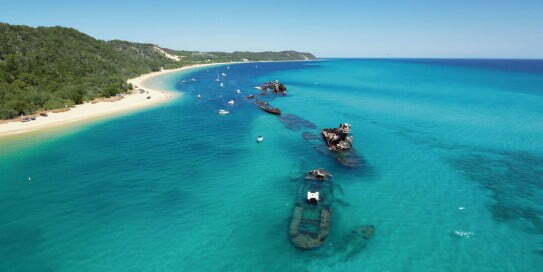 When it's time to cool off, snorkel or kayak the Tangalooma Wrecks, a fascinating reef of 15 sunken ships. Here you'll discover coral formations, tropical fish and all kinds of marine life that have made the wrecks their home. The riverside precinct at Eagle Street Pier is the perfect spot to meet friends for a long lunch, evening drinks or dinner. When you're ready to party on, nestled between Queen St and Eagle St is Eagle Lane, where you'll find an uber-cool live music venue and basement bar called Brooklyn Standard. Blues, funk and soul are the main music flavours; the bar snacks are just as enticing. The Gallery of Modern Art (GOMA) shows off some of the most exciting modern art you'll ever see. The building itself is an art form, sheltering 16,000 works that will amaze, challenge and amuse you. You'll find GOMA in South Bank's cultural precinct, a riverside area that's packed with attractions, parks, bars and restaurants. Eat Street Northshore is a clever conglomeration of shipping containers that have been turned into tasty eating, drinking and entertaining places. 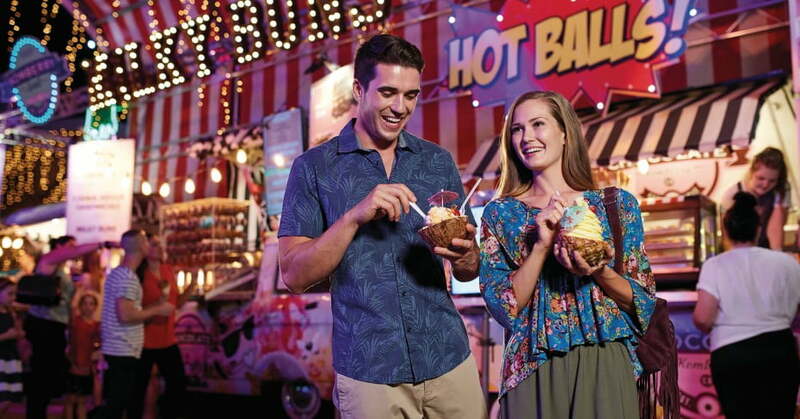 It's a fun and funky way to discover Brisbane's tastiest street food. Eat Street's open Friday to Sunday all year round. Brisbane's best open-air cinema experience happens in Fortitude Valley at Limes Hotel Rooftop Bar & Restaurant. 'The Valley', as this area is called, is an entertainment district with a difference. It's totally of-the-moment, but it also appreciates the past. Aside from art and music, there are retro boutiques and designer dress shops to explore. The boutiques on James Street are a great place to start. Make the most of Brisbane's beautiful weather and spend a morning wandering around a farmers market. Local food personality Jan Powers operates four markets (Brisbane Powerhouse, Brisbane City, Manly and Michelton) and there are several others scattered throughout the city. If your accommodation has a kitchen, you'll be able to cook up a storm with the freshest local ingredients. Many Brisbane activities are absolutely free. For example, it costs nothing to join a Brisbane Greeters Tour and discover the city's best sightseeing, hidden stories and art trails. You can choose where your tour goes or you can pick 'greeter's choice' and let a knowledgeable local show you what's good. Book online and be introduced to some of the interesting places and hidden corners that bring the city to life. Every Friday you can laugh for free at Knockoff, held at the Brisbane Powerhouse. The show is open to anyone over the age of 15 and acts include local and national performers. Expect the unexpected, because this event is a great chance for comedians to try out new material. 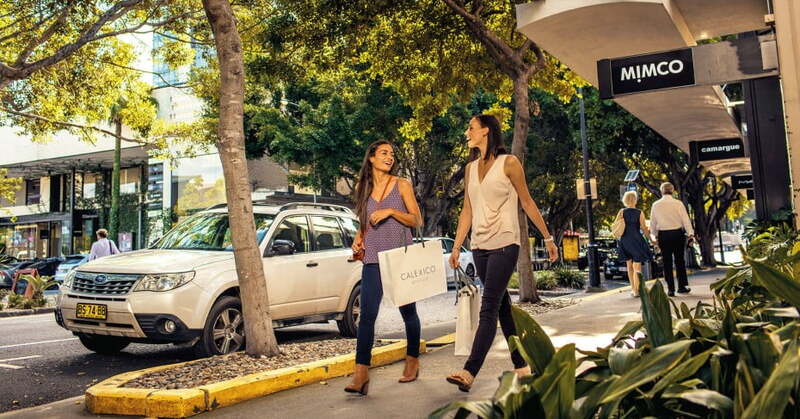 In the inner-city suburb of Bulimba, Oxford Street is a colourful and intriguing place to explore fashion and homeware shops amid a feast of small cafes and restaurants. The Bulimba ferry terminal is right at the end of the street, making it easy to wander along one side for about a kilometre, then back down the other.